In my last blog post about smartphones I mentioned I was now hooked on podcasts – in particular I’ve been listening to The Creative Penn, The Book Marketing Show, and the Smart Author podcast. Listening to a writing-related podcast at the same time as doing everyday chores is great because at least I feel like I’m learning something new about the indie-author world, and making a positive impact on my own writing, even when I’m not able to be at my desk. It’s also really inspiring to listen to the experiences of other writers – especially those who’ve had lots of false starts or disappointments in their careers, but have ultimately been very successful. One of the topics I’ve been thinking about as a result of this is whether or not I should continue to stay in KDP Select, and thus stick exclusively with Amazon for my eBooks, or whether I should consider striking out to Kobo, B&N Nook, Apple iBooks, etc. There’s no doubting that Amazon is currently the major player in the eBook market, and it’s difficult to imagine a future in which this is not the case. As a newbie to self-publishing last year, it seemed entirely sensible to trial my initial ebook upload through KDP, and having done that, it also seemed sensible to maximise my potential readers by clicking to join KDP Select. Now though, with a couple of ebooks under my belt, I’m considering my longer term strategy. The ebooks I’ve published to date, The Camel in the Garden and Beyond Words are both short story collections, but I’m currently working on a non-fiction project. One of the reasons I’d like to consider cross-platform publishing for this project is to enable it to be borrowed via public libraries (though applications such as OverDrive). I’m also coming around to the view that the all-eggs-in-one-basket approach may not be sensible in the long run – especially when the basket it owned by such a huge, powerful organisation. In order for us as indie-authors to have choice in the way we self-publish, alternative platforms have to exist – and in order for them to exist, they need authors and customers. So at the moment, I am exploring Smashwords and Draft2Digital and learning as much as I can about opportunities to publish across multiple platforms. I’d be really interested to hear any other self-published authors’ experiences of and opinions on either staying with KDP Select, or using a multi-platform approach. And if you’ve come out of KDP Select in order to “go wide”, please comment below to let us know how you go on. 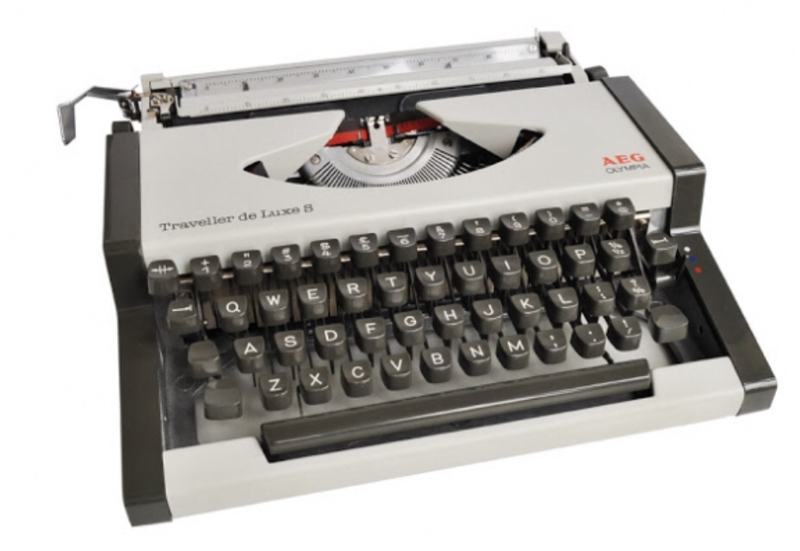 One of the best Christmas presents I ever received was a portable typewriter. Granted, we’re going back a bit. I was 13. My mum had watched me scribbling away in notebooks, or head buried in a kazillion novels over the previous months/years. She had listened when I told her I wanted to be a writer. And she wanted to help. Opening my present on Christmas Day was one of those rites of passage moments – not only was it something I really wanted (I appreciate this makes me a pretty nerdy teenager! ), but it was a proper grown-up present. And most importantly, it meant that my parents didn’t think I was being silly. I said I wanted to be a writer: they believed me, and believed in me. I now know how lucky I was. And I also now know that having people around you who believe in you is only half the battle – you also have to believe in yourself. There are so many hundreds, thousands, of great books out there, so many talented writers, it’s easy to become discouraged, to think there’s no place for you. Even literary success may not wholly dispel feelings of “imposter syndrome”. I know several would-be writers who are too nervous to show their work to the wider world, or even talk about their writing. But if you write, you are a writer, and if you want the wider world to believe in you as a writer, you must first believe in yourself. If you want the wider world to know about your writing, you have to talk about what you do. Beyond Words will be HALF PRICE from Monday 13th – Sunday 19th November 2017, so you will be able to pick up 12 stories for a mere 99p. To find out more about either of these short story collections, click the relevant tab at the top of this page.